Aaron Kaferaanthu, one of the Automobile instructors at Andiamo Technical College graduated as the best student amongst the six who underwent a two-year Diploma training in Mechatronics at Mechatronics Centre in Blantyre. 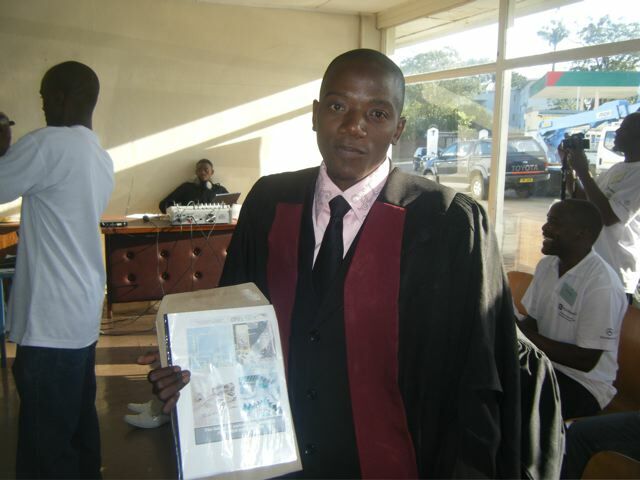 This was revealed during a graduation ceremony in Blantyre on 24 May 2012. Mechatronics Training Centre is an institution under Stansfield Motors and it deals with motor vehicle electronic equipment. The training is essential since the motor industry is changing from convention fashion to a computerized system. Mr. Kaferaanthu joined Mechatronics Training Centre in March 2009 under TEVETA funding and has walked out of the Institution with a Certificate and Diploma in Mechatronics. Andiamo Education Institutions (AEI) office congratulates Aaron for the achievement. This entry was posted in Education, News from Malawi, Social Development and tagged Aaron Kaferaanthu, Andiamo Education Institutions, Andiamo Technical College, TEVETA. Bookmark the permalink. I really liked your institution would like to have more information because I have brother formed the basic level in the area of electricity. I would like him to study in your institution’s technical teaching medium.